I thought I was over the Census, but my interest keeps getting piqued despite my best efforts to ignore the chatter. What I’m most intrigued by at this moment is the notion that in the next decade or two, if we keep changing our attitudes and understandings for the better, a majority of Americans could come to view themselves as mixed race. And by that I mean Americans who today consider themselves to be exclusively white or black despite the abstract knowledge that we are all mixed up to some extent. And if that paradigm shift happens there won’t be much use in classifying ourselves in terms of “race” because we will see ourselves as generally more similar than different regardless of color/phenotype. Although I respect Obama’s right (and that of every individual) to self-identify any way he chooses, I feel that the checking of just one box is holding us back from reaching that “promised land” where we aren’t so entrenched in these antiquated notions of race and color, but perhaps more interested in heart, spirit, intellect …. Once again I’m a bit speechless because I’m not sure what the world will look like when instinctively and instantly we take people for what the truly are instead of what they truly look like. In an op-ed piece for the conservative Web site Red State on April 1, 2010, Rep. Patrick McHenry, R-NC, the ranking Republican on the Information Policy, Census and National Archives Subcommittee, sought to tamp down some of the misinformation being spread about the census by “otherwise well-meaning conservatives” and warned that failing to fully participate in the census could create a competitive advantage for Democrats. Specifically, McHenry attempted to allay the fear among some Republicans who distrust the government and view the census as overly prying. 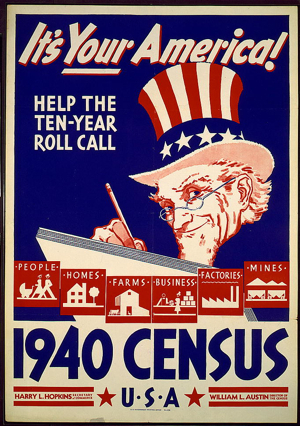 Conveniently, the U.S. Census Bureau keeps historical records online of all the questions asked in every census going back to the first one in 1790. If you follow the census questions asked through U.S. history, you can see how they reflect changing attitudes and understandings about race. Yes, the 1790 census and others in the early years of the survey addressed race, but it was hardly a matter of checking a box. Rather, the census asked about the number of free white males and females; the number of “all other free persons” and the number of slaves. By 1850, the Census asked about people’s “color.” According to the Census archives, this column was to be left blank if a person was white, marked “B” if a person was black, and marked “M” if a person was mulatto. A separate form listed slave inhabitants, the last census to do so. By 1870, the “color” options included “W” for white, “B” for black, “M” for mulatto, “C” for Chinese (a category which included all Asians), or “I” for American Indian. The 1890 census added Japanese and more mixed-race categories — mulatto, quadroon and even octoroon, according to amounts of perceived African blood. By 1920 Filipino and Korean sprang up, along with the improbable racial term “Hindu.” New labels emerged after World War II, with Hawaiian, Eskimo and others joining the parade of terms. The question morphed into “color or race” in the mid-1900s, and then, finally to just “race” in 1970. In 1980, in addition to race, the Census began asking if a person was of Spanish or Hispanic origin or descent. In the 1790 Census (and several after it), a respondent was not simply asked their race. Rather, they were asked to list the number of white people, the number of “other free persons” and the number of slaves. In other words, it didn’t ask for the race of non-whites. One could argue this reflects the common attitude about race at the time. But that’s hardly the same as the 2010 version that simply asks a person’s race. Prior to the Civil War the census was more concerned with whether someone was enslaved or not, than establishing whether someone was white. This is a very different conception from our modern idea of race. Post Civil War, the terminology changed (from “color” to “race,” for example) and the categories expanded over time. Certainly these are different standards when compared to today’s measures. But again, one could argue that the questions comported with attitudes about race at those times, and the census has always asked discriptive questions that corrolate to race. So we rule McHenry’s claim Mostly True. This entry was posted in biracial, civil rights, equality, history, race and tagged american history, census, civil war, mixed race, mulatto, patrick mchenry, race, robert m. groves, slavery by Tiffany. Bookmark the permalink.